Stocks slipped Friday as investors analyzed mixed signals about the health of the economy and corporate earnings. The Dow, S&P 500, and Nasdaq all finished slightly lower. 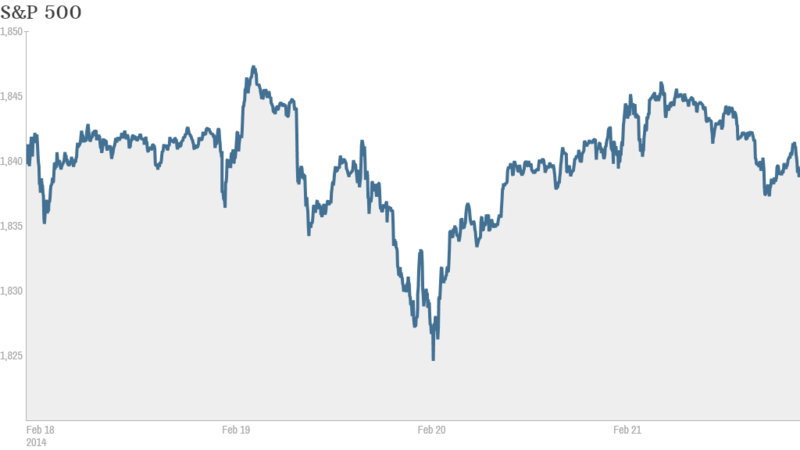 For the week, the Dow and S&P 500 ended in the red, while the Nasdaq notched out a gain. The Nasdaq is the best performing major index so far in 2014, up more than 2%. Stocks had a bumpy start to the year, as emerging markets turmoil and questions about the strength of the U.S. economy weighed on investors. The Dow and S&P 500 are still lower for the year. But a sense of calm has returned in the past few weeks, and stocks have regained some lost ground. There are also hopes that new Federal Reserve chair Janet Yellen will be able to effectively wind down the central bank's massive bond buying program in an orderly fashion. On the corporate front, investors have been closely studying earnings to gauge whether stocks can continue to climb. Hewlett-Packard (HPQ) shares dipped even though the company reported earnings late Thursday that topped analysts' expectations. Investors have been looking for signs that the technology giant can roll out innovative new products in the future. One trader on StockTwits was confused by the drop. "$HPQ what the heck it turned red? walk way for one second and that happens geez," said StockGuy39. Dish Network (DISH) rallied after the satellite provider's quarterly earnings showed significant increases in profit and revenue. 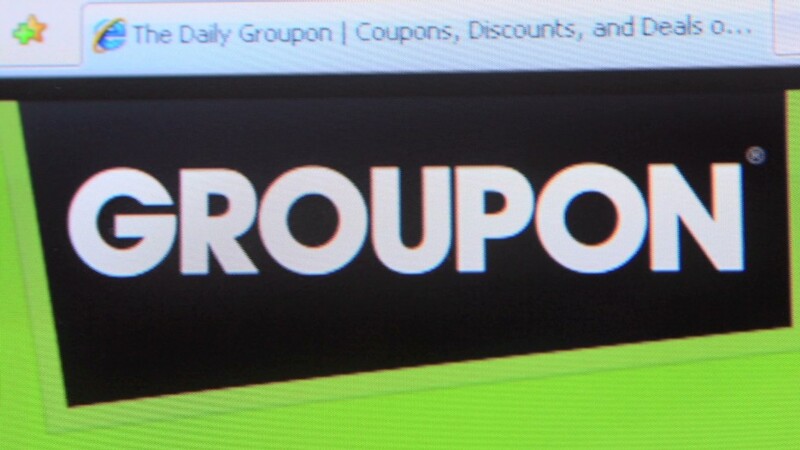 Groupon (GRPN) shares plunged over 21% after the daily deal site forecast a loss for the current quarter. One trader felt Groupon needs to get back to its roots. "$GRPN Groupon goods is killing the business," said tpstulane. "They need to go back to coupons on mobile." Another StockTwits user thought Groupon has failed to evolve overall. "Daily deals is done. What ppl aren't seeing is $GRPN is turning into a mobile based local retailing / digital coupon monster," said eddiedaroza. Shares of Priceline.com (PCLN) got a boost after reporting better-than-expected earnings. The travel site was the biggest gainer on CNNMoney's Tech 30 Index. Barnes and Noble (BKS) shares jumped over 5% after private equity firm G Asset Management revealed a proposal to acquire a majority stake in the struggling bookseller. The company has been slow to evolve to the digital media landscape, but its stock has enjoyed a rebound this month after being one of the worst performers in the S&P 500 last year. Under Armour (UA) shares popped after the company said Friday that it extended its partnership with the U.S. Olympic speedskating team through 2022. The Under Armour suits created a controversy in Sochi after some speedskaters blamed the new uniforms for poor performance. "Great news for the Dutch Speedskating team!! $UA," quipped mytfine, referring to the fact that the Netherlands has dominated the U.S. in speedskating Olympic events this year. Business Wire, owned by Warren Buffett's Berkshire Hathaway (BRKA), said it would discontinue its practice of pumping a direct news feed to high frequency traders. European markets closed mostly higher, despite unrest in nearby Ukraine, which canceled plans to raise $2 billion by selling bonds to Russia. Asian markets ended mixed.